(Natural News) The up-and-coming Democratic Party has many ambitious plans for the country. First, they want a “Green New Deal” which would force the economy to run on 100 percent renewable energy. This multi-trillion-dollar plan would provide taxpayer-funded incentives for wind and solar, while shuttering American coal, oil, and steel independence. The Democrat leaders of the House and Senate have voiced their concerns about the President’s proposed border wall, calling it outrageously expensive at a price tag of $5.7 billion. However, when it comes to spending money, these same Democrat leaders are all for a $2 trillion plan to dictate American energy production… and that’s just the initial cost (see the ten-year cost, below). When comparing the spending proposals, the Democrats want to control energy in the U.S. and spend far more than what the President wants to spend on improving national security. This cost comparison is for year one only. When PJ Media calculated the cost of the “Green New Deal” over the course of ten years, the price tag was a stunning $18.26 trillion. Over the course of ten years, this wealth redistribution plan could fund Trump’s border wall 3,600 times over. Democrats believe that the cost savings of switching to green energy would offset the initial sticker shock. Examples of this could not be found, because many of the renewable energy incentives passed under former President Obama failed to translate to real world savings. To compare, Trump’s border wall will address real-life problems, including drug trafficking, human trafficking, and the cost burdens that illegal aliens add to welfare, Medicaid, and other systems that American citizens pay into. By addressing these problems, a border wall would pay for itself very quickly and save lives, something that cannot be measured in dollars. The “Green New Deal” proposed by democratic socialist Rep. Alexandria Ocasio-Cortez(D-N.Y.), is just the beginning of bombastic spending proposals by Democrats. One of the provisions of the Green New Deal is for the U.S. to replace its current power grid with a smart power grid. According to the Electric Power Research Institute, this proposal would tax America upwards of $476 billion, making the $5.7 border wall seem like pocket change. Also, in order to reduce carbon emissions and supposedly stabilize global temperatures, the Green New Deal calls for steel, cement, ethylene, and ammonia manufacturers to completely reform, a cost exceeding $11 trillion over a 30-year time frame according to a 2018 study from McKinsey and Company. This maneuver would also negatively impact each industry, weakening production yields, exports, and American sovereignty in each field. 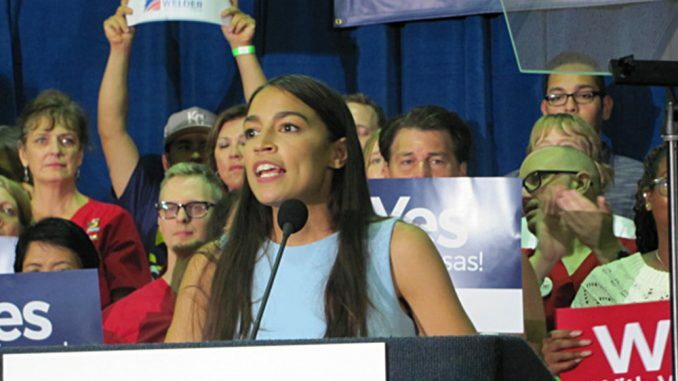 According to newly-elected Alexandria Ocasio-Cortez, the Green New Deal would immediately require a 70 percent top tax rate for wealthy Americans, even though this would hardly cover the costs of such a monstrous system. The Green New Deal includes a federal jobs guarantee program, a $543 billion system that has already been proposed by Senator Cory Booker. Within ten years, this program would ensure that most federal workers receive a minimum wage of $15/hr and would cost taxpayers approximately $2.475 trillion. Also included in upcoming Democrat promises is a universal basic income or UBI. This new welfare system would guarantee every American $10,000 per year, a total cost of $3 trillion every year. On top of that, Americans are promised a universal single-payer healthcare system, which all but ends the health insurance marketplace, while guaranteeing Big Pharma’s rule over America. According to a University of Massachusetts-Amherst study, the proposed plan would cost $13.8 trillion over the first ten years. According to the Mercatus Center, the cost could be as high as $33 trillion over ten years. The plan would save many Americans when it comes to paying deductibles and monthly premiums but healthy and young Americans would be fined by paying into the system. The expensive state of health insurance today would be swapped out for an expensive government system that could ultimately be just as tragic as the one in Venezuela. Because Democrat spending proposals are not grounded in any sort of economic reality, the political party needs to be shuttered completely and denounced as a threat to American financial solvency. If the Democratic Party and their allies in the media and Big Tech cannot be brought to financial reality, then they must be considered a domestic threat to the U.S.